Hang presentation materials, show off artwork and post important class notes for all to see on Quartet‘s Map Rail. This cork map rail is self-healing, so it hides pin holes. The heavy-gauge aluminum frame provides stability and is easy to mount to any wall. Quartet‘s 8' long Map Rail is 100 percent customer satisfaction guaranteed. Note: This map rail can not ship to Canada. Hang presentation materials, show off artwork and post important class notes for all to see on Quartet‘s Map Rail. 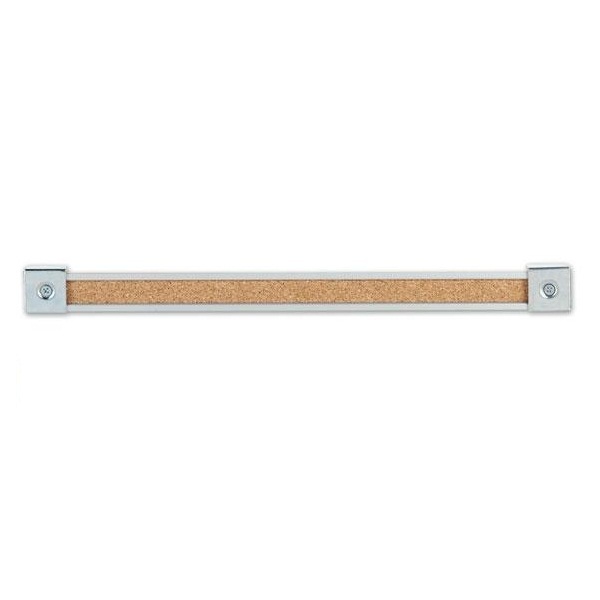 This cork map rail is self-healing, so it hides pin holes. The heavy-gauge aluminum frame provides stability and is easy to mount to any wall. Quartet‘s 12' long Map Rail is 100 percent customer satisfaction guaranteed. Hang presentation materials, show off artwork and post important class notes for all to see on Quartet’s Map Rail. This cork map rail is self-healing, so it hides pin holes. The heavy-gauge aluminum frame provides stability and is easy to mount to any wall. Quartet’s 72" long Map Rail is 100 percent customer satisfaction guaranteed. Quartet's Map Rails are a great way to display presentation materials, show off artwork and post important class notes. This cork map rail is self-healing, so it hides pin holes. The heavy-gauge aluminum frame provides stability and is easy to mount to any wall. Quartet's Map Rail is 100 percent customer satisfaction guaranteed. Let our customer service team assist you with your order for Quartet map rails or any school furniture product. Give us a call at (877) 839-3330.